So I've decided to change things up a bit and chuck a beauty post into the mix, as I seem to have been neglecting the 'beauty' part of ellie etc. I've never really done a review on make-up so bare with me, I'm new to this! Recently I've been suffering from something almost everyone has to deal with in their lifetime - spots. I put it down to the stress of my exams, along with being a bit slack with my healthy eating and exercise regime, which was again due to exams. I know it's not great to blame something else, for all I know it could have just been hormones and the fact I'm 17. But who knows? All I knew was that I needed to sort it out. Trying to find a solution, I picked up this foundation from Boots a week or so ago. I have been eyeing it up in several prior visits to Boots, due to the promotions on it (which are sadly no longer running, sorry! ), as well as it's claim to give 'clearer skin in 4 weeks'. Seeing as I've only had it for a a couple of weeks, it possibly isn't the best time to be writing this review, so a follow up review in 4 weeks time may feature to see if it's claims are true! Although saying that, my skin does seem to be noticeably clearer since using it, I wish I'd taken a 'before' photo to show you the difference! Also being much less stressed due to no more exams (yay!) could have had some effect on the clearing of my spots. It looks slightly the wrong colour for my skin in the last photo, that's only due to the skin on my hands being a completely different colour to the skin on my face (I don't know if that's just me being odd, or if that's the same for everyone?). 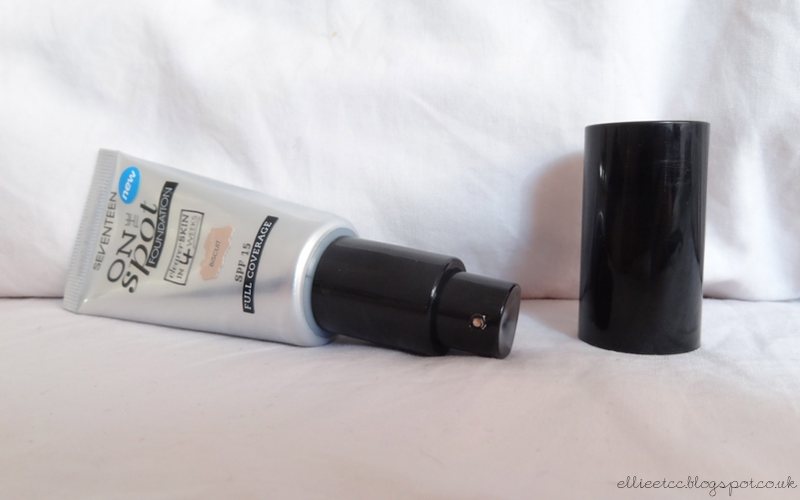 However, I'm also very impressed with the coverage it provides, it lasts all day without the need for a primer, which is always a good thing! It also provides nice and even coverage too, even without a foundation brush or sponge - one of which I should probably start using. 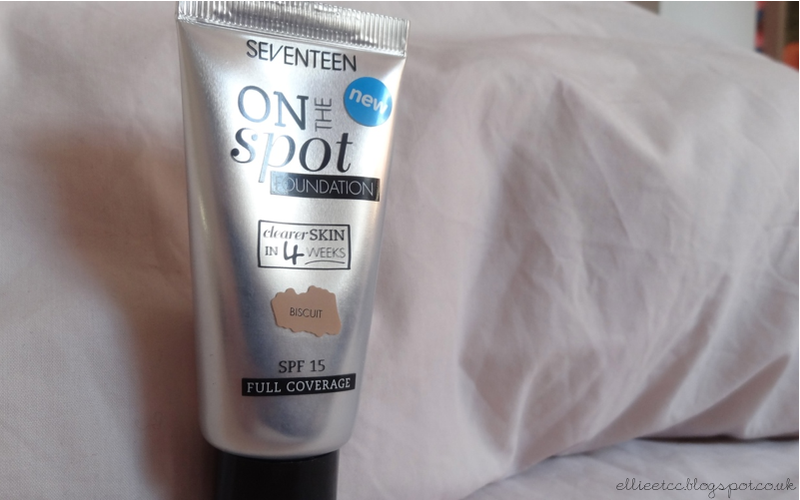 Have any of you tried this foundation before, and if so, how did you find it? Also, did you enjoy my first ever make up review post? Would you like to see more of these type posts featured on ellie etc? Let me know in the comments below! p.s. there is now under a week until we say goodbye to Google Reader (boo, hiss! ), so if you haven't done already, please head over and follow ellie etc on bloglovin HERE to continue seeing updates from my blog.